You may be familiar with many of the services and programs Nightlight Christian Adoptions has to offer, from international adoption to domestic adoption to the Snowflakes Embryo Adoption program. But did you know that Nightlight also operates a federal grant to increase public awareness of human embryo adoption? In 2007, the agency established the Embryo Adoption Awareness Center (EAAC) to manage all grant activities. These activities have included an informative web site, educational webinars and a yearly law student essay contest. The EAAC has also produced many informative videos on this unique adoption alternative. This week, the program premieres three brand new videos sharing inspiring stories from Snowflake adoptive families. Anyone who has considered alternative family building options will relate to some element in these stories. From multiple miscarriages to premature ovarian failure these families gave birth to their children as a result of choosing the extraordinary option of embryo donation and adoption. So what are you waiting for? Click on the links below to hear these incredible stories – ones that are likely to change the way you think about this unique adoption option. Mike and Stephanie’s dreams of starting a family seemed dim after being diagnosed with male infertility factor. A family member told them about embryo adoption and the couple found new hope. Many noteworthy things happened to Nightlight Christian Adoptions and its extended family during 2010, but one of the most exciting was being mentioned in Decision Points, the recently-released memoir of President George W. Bush. In the book, President Bush recalls the first veto of his Presidency – a decision to overrule the passage of the Stem Cell Research Enhancement Act of 2006 – which would have allowed federal funding for embryonic stem cell research that would destroy embryos. Included in the organizations and individuals invited to the White House on July 19, 2006 were families and employees from Nightlight Christian Adoptions and the Snowflakes Embryo Adoption Program. I had an opportunity to preview a new movie about adoption. 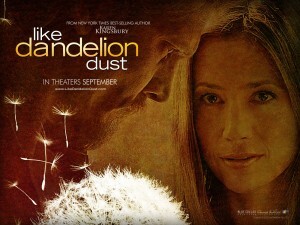 “Like Dandelion Dust,” with Mira Sorvino, is a movie best described with two words – pain and courage. Although the premise of the movie may cause unnecessary concern for adopting parents as it is based on a very unusual set of circumstances, it nevertheless portrays the pain, courage and love involved in every adoption in a balanced and powerful way. For those who cannot understand how a biological parent could ever place a child for adoption, the emotions and decision-making is explored with realism and compassion. For those who cannot understand how parents could ever love an adopted child as much as a biological child, there is no room left to wonder. I suppose it says a lot when a movie is over and you find yourself able to empathize or identify with each of the main characters. A very good movie – but take a box of tissues with you. “Like Dandelion Dust” begins a nationwide release on September 24, 2010. 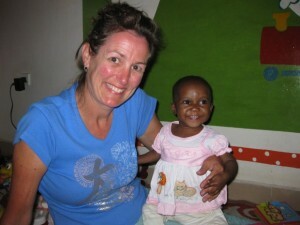 Openness in adoption is a major theme in the article. The interplay between the financial crisis and an uptick in domestic adoptions (and abortions) is also addressed here. No one will be surprised that killing babies and giving them two-parent families are presented as approximately equally acceptable options.